The Carpenter's Ministry Toolbox: CONFIRMATION: Martin Luther on Parents or Pastors? CONFIRMATION: Martin Luther on Parents or Pastors? Martin Luther wrote a few treatises dedicated strictly to education and encouraged teachers, preachers, and other theologians to consider the role of education in society. In 1524 he wrote a treatise to "the councilmen of all cities in Germany that they establish and maintain Christian schools." He made it clear that he considers the Christian education of children to be extremely important. 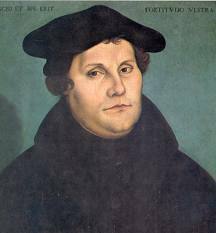 Many in the Lutheran church are currently leaning toward shifting the responsibility of the actual teaching of the confirmation curriculum to the parents because Luther wrote the Small Catechism to be taught by the head of the house to his household. Perhaps they are not taking all of the historical information into consideration or are taking it out of context. Luther published his Small Catechism in 1529 but in this treatise in 1524 he clearly states that he believes it to be a civil responsibility, and to those who would say that the Christian education of children is a parental responsibility, he says "Very true: but if the parents neglect it, who is to see to it? Shall it on that account remain undone and the children be neglected?" He then shares his reasons why parents should not be the ones to provide Christian education to their children (as taken from his treatise). There are those who lack the piety and decency, even if they had the ability, to do it. The great majority of parents are, alas! unfitted for this work and do not know how children are to be trained and taught, for they themselves have learned nothing but how to provide for the belly; whereas it takes persons of exceptional ability to teach and train children aright. Even if parents were able and willing to do it themselves, they have neither the time nor the opportunity for it, what with their other duties and housework. Based on this treatise, Luther would prefer the local government provide religious education to children before delegating that task to parents. Later, he clearly states in the preface of the Small Catechism that he found that "the common people, especially in the villages, have no knowledge whatever of Christian doctrine, and, alas! many pastors are altogether incapable and incompetent to teach [so much so, that one is ashamed to speak of it]." He also tells the bishops that they are neglecting their duty in not educating the people! In his opinion, barring the ability for the government to publicly educate all children in Christian doctrine, Martin Luther thought it was the job of the clergy, and barring the ability of the clergy, the parents. The Small Catechism is his attempt to help the parents because neither the government nor the clergy were doing their jobs. Thanks be to God our clergy and other church professionals are well educated and able to educate our young people and all the rest of us! !